One thing is certain: We live in a world of cities, and our planet is increasingly urban. By 2050, more than 70 percent of the world’s population will live in cities. Cities are the new engines of growth in the global economy, responsible for 80 percent of global GDP. Regardless of size, they are becoming nodes of innovation, production and creativity. Through investments in smart technologies, they have the power to reverse migration and attract talent. At the same time, they are the main actors for coping with sustainability challenges such as the growing population, traffic congestion and increasing limitations on scarce resources including water, energy and housing. It is no longer countries that are in competition but cities. Every city will have to gain a competitive edge to differentiate itself from the rest. Flexible and agile cities that can diversify their resources and offer economic, social and cultural opportunities to their citizens will survive. The cities best equipped to produce innovative, inclusive and ethical solutions in the face of multiplying risks and threats will emerge as leaders. Cities will compete and collaborate globally as interdependent entities and will drive the future. The term smart city has become a buzzword in the ever-growing literature on urbanization and digitization. To me, a smart city is one that encourages and facilitates its citizens’ participation in physical and digital spaces and online and offline processes. A smart city eases life, accommodates needs and increases the well being and welfare of its citizens with the enabling power of technology – through connectivity and IoT. A smart city continues to transform itself, driven by local specifications and using a holistic and systematic approach. As part of corporate citizenship, I believe the private sector has an important role and responsibility in this regard. Perceiving cities as the most significant units of living space for their inhabitants, I am a firm believer in giving back to society in meaningful ways. In line with responsible and responsive leadership, the world can be a better place if private companies initiate or take part in endeavors that tap into the potential of the cities in which they operate or invest. No city will become smart without winning the hearts and minds of its citizens. Knowing this, we have embarked on a journey with our city Canakkale, Turkey, where we were born 61 years ago. In partnership with TBV and Novusens, our initiative, “Canakkale On My Mind,” aims to drive its transformation into a smart, sustainable city – aspiring to improve its citizens’ quality of life. You can download the report here. I believe that smart solutions mean tangible results, which touch people’s lives and offer them prospects. Yet in a world with limited resources, the ability to prioritize and identify areas of focus and “smartness” that fit with each city’s unique circumstances is becoming more difficult. While methodology and the benchmarking of best practices are crucial, every project draws its strength from the unique local insights it can generate and from the ownership and buy in of stakeholders. The private sector has to assume its share of responsibility and must incorporate SDGs into its core business goals and investment decisions. SDGs should not be viewed as an add on but rather as an integral part of a business’s economic value. SDG reporting is becoming more critical in the eyes of purposeful consumers, investors and employees alike. To me, a smart city project is an umbrella concept that should be co-designed with a holistic view. Confining a smart city to fiber networks and connectivity through sensors does injustice to the wider potential into which we can tap. I know that change starts locally. Even global changes start small. It’s the projects that produce specific solutions targeting local needs that become successful. I dream of seeing Canakkale transform itself into a smart city that serves its citizens and takes its place among the global success stories. We long to see Canakkale cited as an innovation model around the world. The transformation has begun. 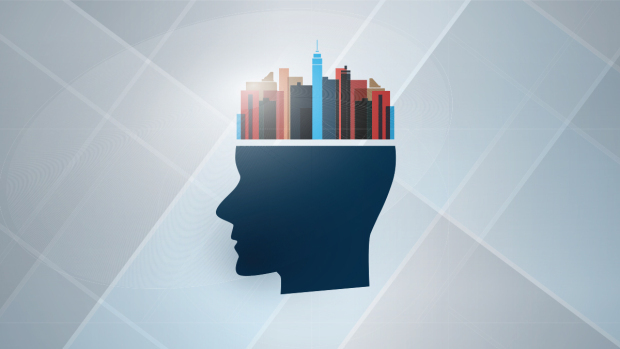 We are aware that a smart city requires a mindset change, as much as thorough execution. But the transition toward smart, sustainable cities requires collective wisdom and increased collaboration between citizens, businesses and governments. We can co-design more efficient and more ecological, people-centered cities, which promote individual well being and sustainable development, creating a better future for us all.